Whenever I fill-up a withdrawal or deposit slip in a bank, I’ve had to indicate whether I have a peso or a dollar account. I never really give it much thought because I have never had a dollar account with any bank. I only have peso accounts. I have never considered opening a dollar account and I continue to believe I won’t need one. However, the impeachment trial of the former Chief Justice Renato Corona and recent downtrends in foreign exchange has caused me to question these assumptions. The impeachment revealed Corona had several dollar accounts. Today, a dollar exchanges to between 41 and 42 Philippine pesos, which is a considerable decline from previous levels. These factors led me to be more curious about dollar accounts. What I wanted, basically, was to find out a resource which will tell me when a dollar account is appropriate and when it is not. To be honest, it’s not that easy to find this discussion on the internet. Still, I hope this post will shed light on some of the aspects of this topic to help readers. I suppose you recall how the impeached Chief Justice explained the purpose of his dollar accounts. It basically boiled down to foreign currency investments. He essentially bet against the peso and that bore fruit for him. At least that was what he said it was about. That’s a perfectly reasonable explanation. When you have this strong feeling for you to believe that the local currency will lose value against the US dollar in the future, you obviously will be better off converting your cash to dollars. However, it may not be wise for you or me to follow that lead. Foremost of all, it’s very difficult to predict where foreign exchanges will go in the future. Although there are factors that we can use to help an analysis, foreign exchange is mostly speculation. I admit some people make money from foreign exchange. I don’t know how they do it and I don’t really care. It’s not something I would consider investing time in to learn and make money. I’d prefer other forms of investments that are less speculative in nature. Nevertheless, I do understand people who hold dollar accounts because they collect remittances from relatives working overseas. 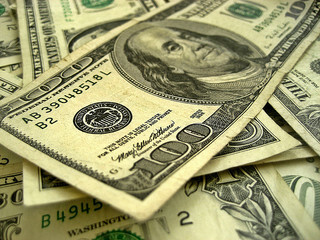 If you want to receive dollars from abroad, then it just makes sense to have dollar bank accounts to deposit them in. Unless you spend everything at once, some of the money you receive will stay in the dollar account to accumulate interests. You won’t be forced to convert everything immediately which may save you some trouble especially when you feel that the exchange rate is not reasonable. But the more valid case for having dollar accounts in the Philippines is if you have to transact in US dollar denomination. This is mostly true for people who are in business. For example if you have customers or suppliers from overseas, they won’t pay you in local currencies. They will most definitely transact with you in dollars. So dollar accounts are a must for people who have business interests in importing, exporting and the like. For entrepreneurs with online business such as online stores, blogs, web design, etc., transactions in US dollars are common. Thus they understandably need dollar accounts as well. From a personal finance standpoint, you’ll have to know that dollar accounts have some disadvantages that you may not be aware of. You ought to know dollar deposits earn less interests that peso accounts. I don’t know if this is intentional on the part of the banks but if you look at BPI for example, dollar accounts earn even less interests than peso deposits. To make matters worse, dollar accounts have higher maintaining balance than peso accounts. Logically, dollars aren’t easy to spend in the Philippines so your dollars can sit idle for many months. But with measly interest earnings, you should expect inflation to cause your dollars in the bank to lose value over time. All in all, dollar accounts were not created for everyone. Unless you really have a need for it, saving dollars for yourself may or may not be beneficial. It’s hard to guess one way or the other. One thing is for sure, it’s not an investment you should easily count on as what Corona claimed in his testimonies that led to his impeachment.